very cool! what a lovely radio. and a great price for a fantastic calendar. So lovely, like all your work! I'm not sure how I found your blog, but I'm so glad I did! Matte, your art is incredible! I have one piece of yours, but I want everything you've done. 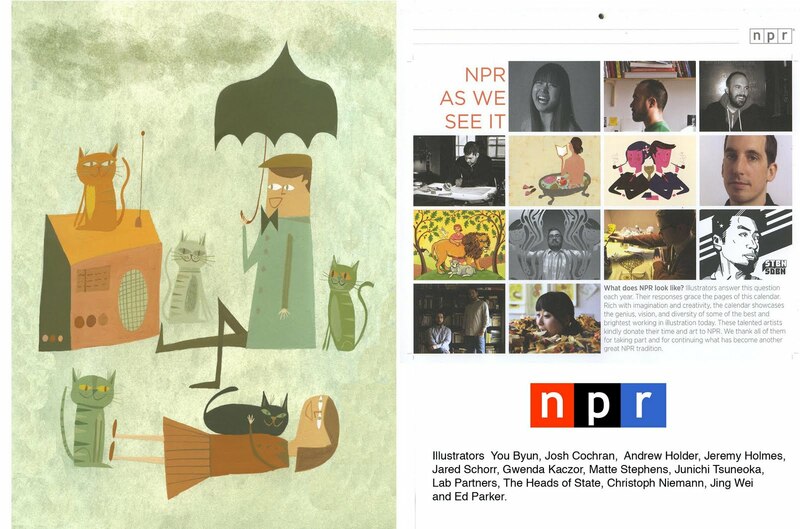 I love NPR and I love the illustration you did for them. Will order one to support. Im a painter that lives in Peterborough NH. .I love Mid 20th century industrial and graphic design like the work of Charles and Ray Eames ,Alexander Girard, George Nelson/Irving Harper and fine artists of the same era like Ben Shahn and Paul Klee .